"Jarrett is sixteen—old enough to reject the railroad job his father wants him to take, old enough to court Lizbeth Whitcomb, old enough to join the fight against the forest fires that are destroying Idaho and Montana. But the fires are worse than anyone dreamed, and soon the flames have has come between Jarrett and everything he holds dear, between Jarrett and Lizbeth, and thrown him into the company of a young black private named Seth, whose own plans to desert the army have been cut short by the disaster. 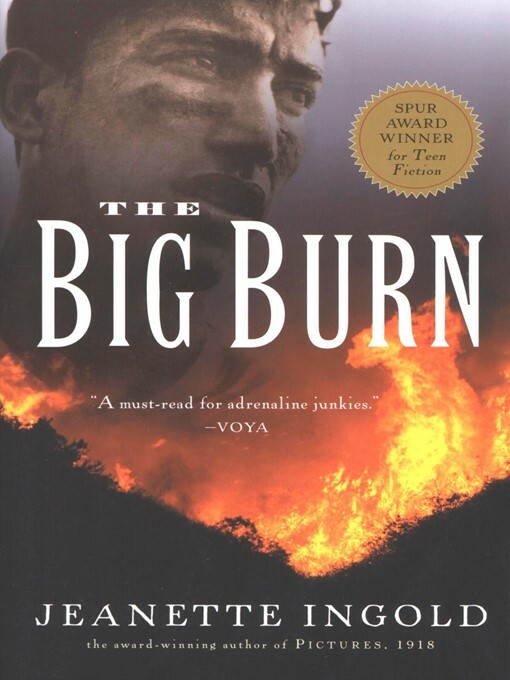 A about the biggest wildfire of the century—the big blow-up of 1910—The Big Burn is a portrait of a time, a place, and an event that changed the way we fight wildfires, altered the landscape of Idaho and Montana, and transformed forever the lives of the people at the front lines.